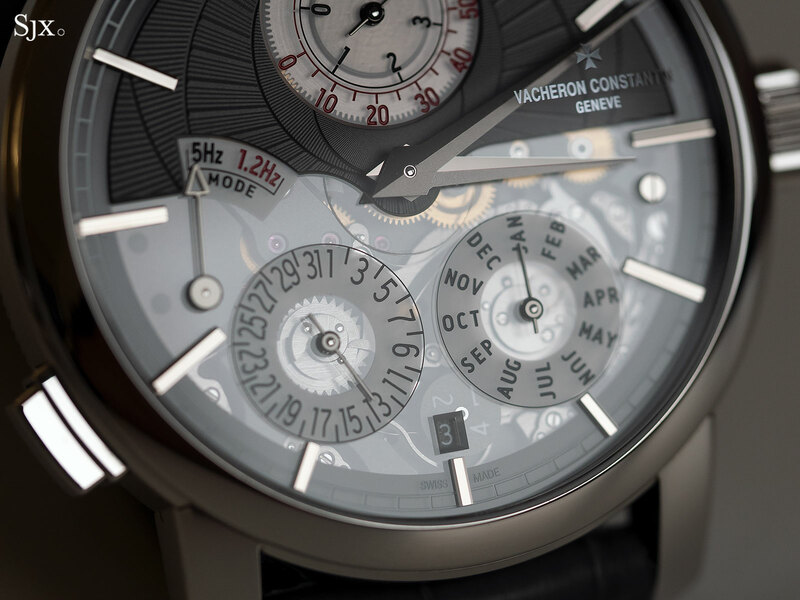 Even though SIHH 2019 hasn’t even started Vacheron Constantin can already claim one of the highlights of the fair with the Traditionnelle Twin Beat Perpetual Calendar, which has a power reserve of over 65 days in standby mode. 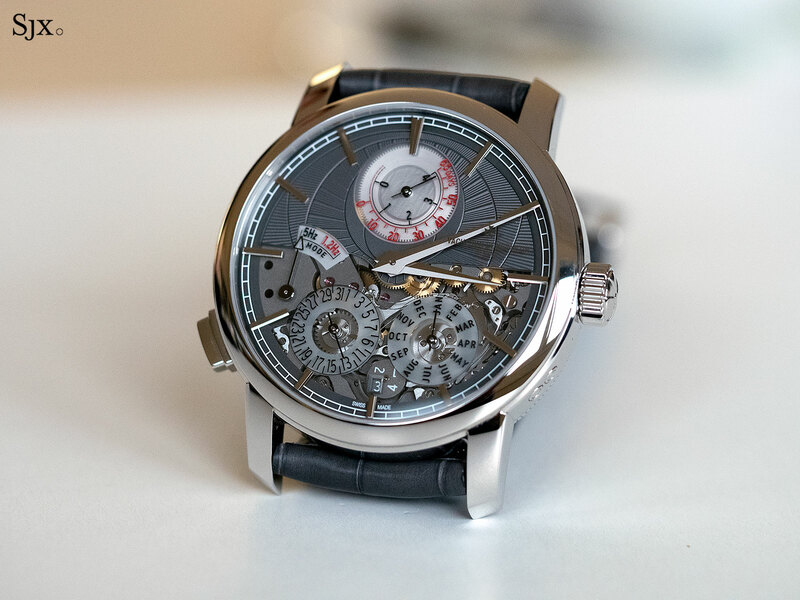 It is a genuinely interesting, albeit pricey, watch. The basic premise of the watch is sensible: an ultra-long power reserve when the watch is not in use, so that the perpetual calendar needs no adjustment even if the watch is unworn for two months. Powered by the in-house cal. 3610 QP, the Twin Beat achieves that with two balance wheels, as well as a smartly designed instantaneous perpetual calendar. 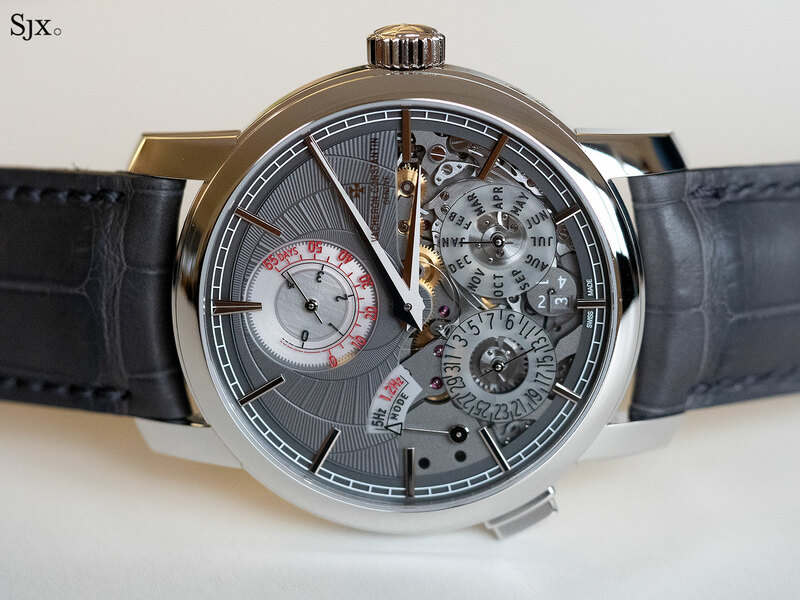 Though conventionally sized movements with extra-long power reserves have been presented as concept watches by Greubel Forsey and Parmigiani, Vacheron Constantin is the first to cross the finish line; the first Twin Beat will be delivered later this year. 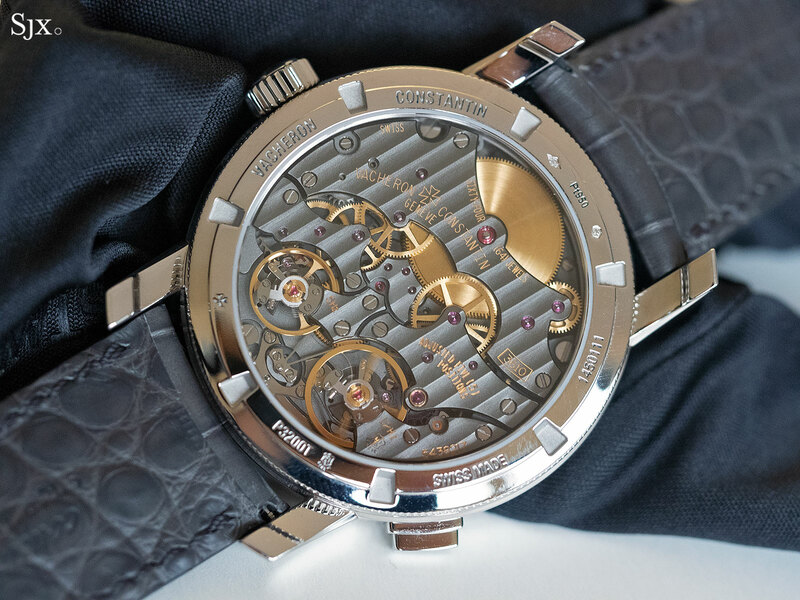 According to Christian Selmoni, the Style and Heritage Director at Vacheron Constantin, the goal of the Twin Beat was to increase the power reserve of the movement while maintaining a reasonable volume, so as to keep the watch moderately sized. There are two solutions to that, larger or additional mainsprings, or lower energy consumption, but only the latter works when case size is a constraint. Per unit of movement volume, the Twin Beat on standby mode has 14 times the power reserve of the Traditionnelle 14-Day Tourbillon, which was until recently the Vacheron Constantin watch with the longest power reserve. 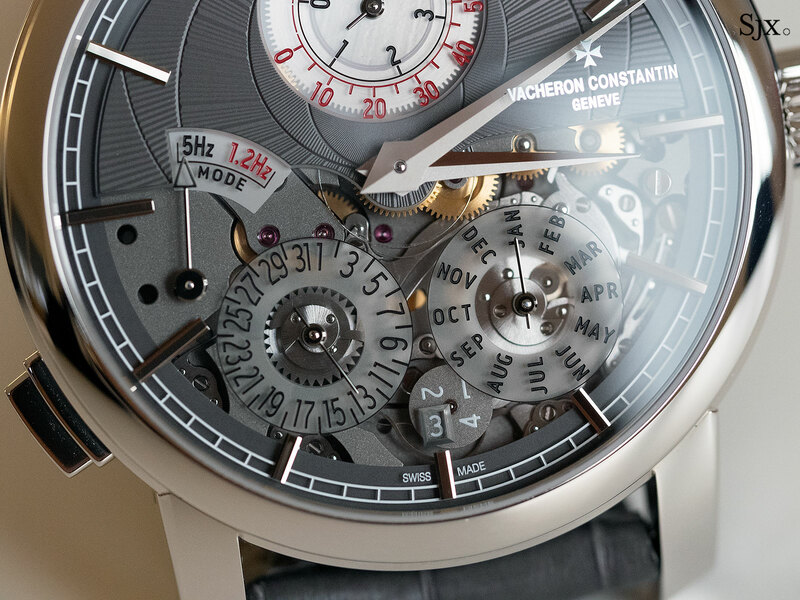 Though Vacheron Constantin will only promise a power reserve of 65 days for the Twin Beat, sources at the company say, unofficially, that the watch can actually run up to 72 days. Powered by an entirely mechanical, hand-wound movement, the watch feature two regulators, one conventional and the other low frequency for standby mode. The balance wheel on the right is larger, smooth and operates only in standby mode, running at just 8640 beats per hour (bph), or 1.2 Hz. In contrast, a conventional movement runs at 28,000 bph, or 4 Hz. According to Mr Selmoni, 1.2 Hz is the ideal number to optimise chronometry, energy consumption and manufacturing in series. 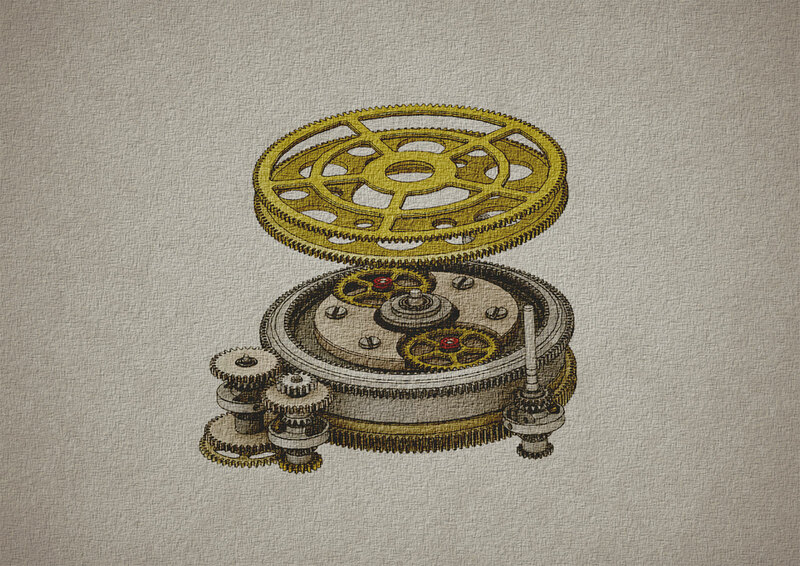 The low frequency balance wheel is paired with an exceptionally fine hairspring, with a cross section of just 0.0774mm by 0.0159mm, or about one quarter an ordinary hairspring. 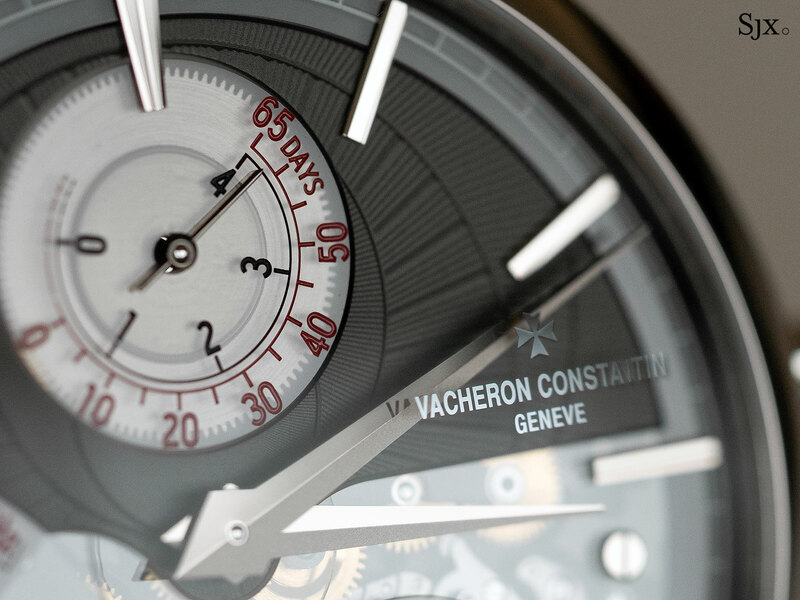 Made of a proprietary alloy that Vacheron Constantin won’t elaborate on, the hairspring was designed specifically for low frequency oscillation. 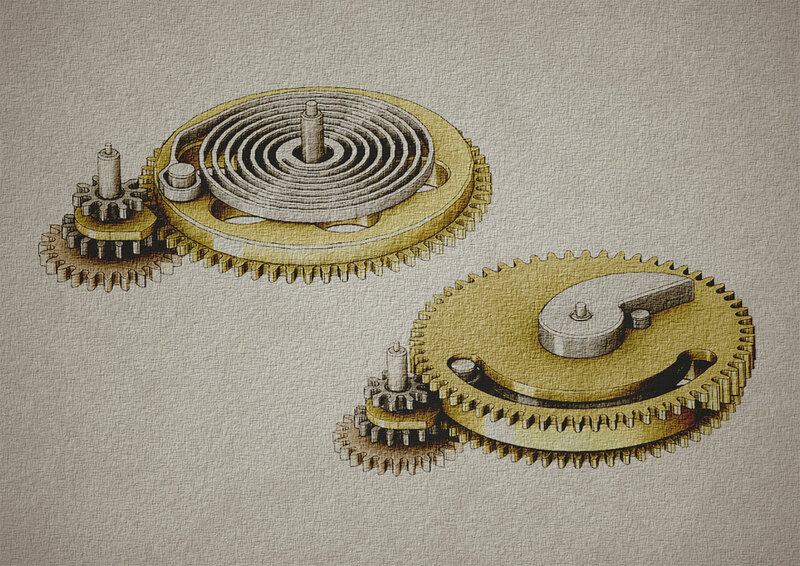 And the low frequency escapement also has a escape wheel made of silicon – the singular instance of a non-traditional material in the movement – further improving its operational efficiency. Although the standby mode balance oscillates slowly, it has an amplitude of 300 degrees, similar to that of an ordinary movement. Consequently, the Twin Beats keeps good time even on standby mode, running within eight minutes after 65 days, or about -/+7 seconds a day. 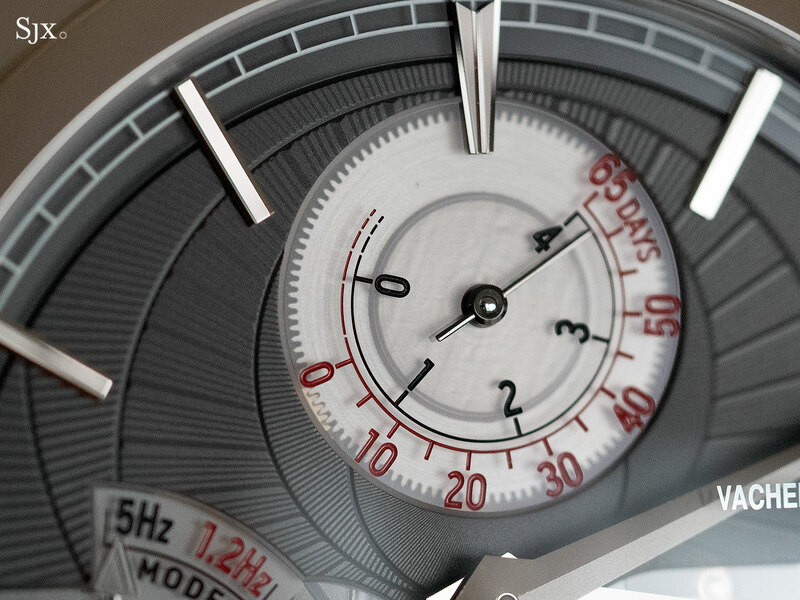 However, the standby mode balance can only keep reasonable time when the watch is stationary and flat, free from the positional or gravitational errors. This limitation is still within the rationale of the watch, which is to allow the perpetual calendar to keep time even when in storage. The other balance wheel is conventional, though it beats at 36,000 bph, or 5 Hz, which is high frequency. 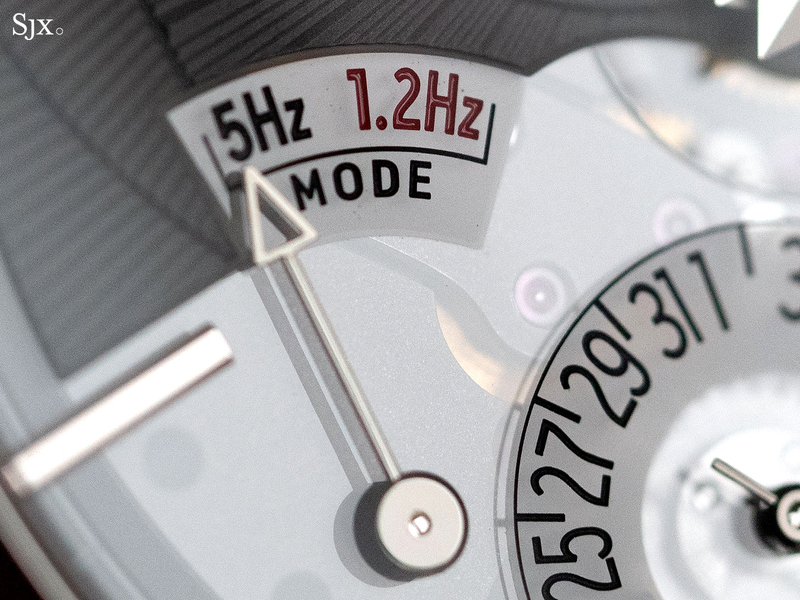 The Twin Beat has a four-day power reserve on this balance, named “Active Mode”. The pusher on the case at eight o’clock allows for switching between the two balance wheels, with the balance in operation indicated by a display at nine o’clock. A V-shaped lever alternately stops one balance and releases the other. 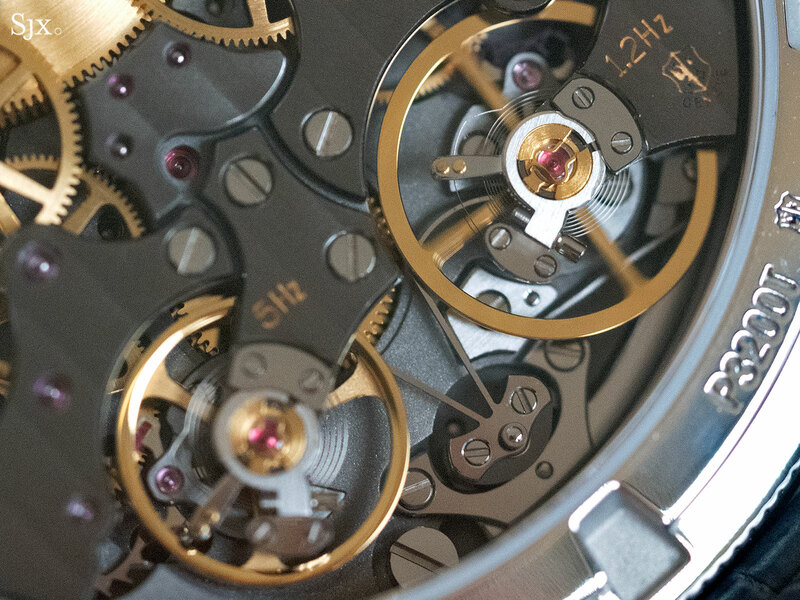 The switching happens almost instantaneously, with only a fraction of a second lost during the switchover, meaning there is no noticeable impact on timekeeping. Each balance wheel has its own gear train, which kicks into operation once when the respective balance starts oscillating. When a balance is stopped, its gear train is frozen. Each gear trains is powered by its own barrel, stacked one over the other and operating in series. But the barrel has two main wheels, one on each end of the barrel. The main wheel of the topmost barrel is linked to the 5 Hz balance going train, while the main wheel of the lower barrel is linked to the low frequency balance wheel train. When on conventional mode the barrel takes four hours to make one revolution, but 72 hours to do the same when on standby mode. The differing rates of rotation are possible thanks to a differential on top of the barrels, allowing them to unwind at two speeds, while allowing for manual winding. Regardless of which balance is in operation, the time indicated remains the same. That is courtesy of conical gears inside a differential that allow the hands to receive input from separate gears. The perpetual calendar is of the instantaneous variety, meaning all of its indications jump crisply at midnight. 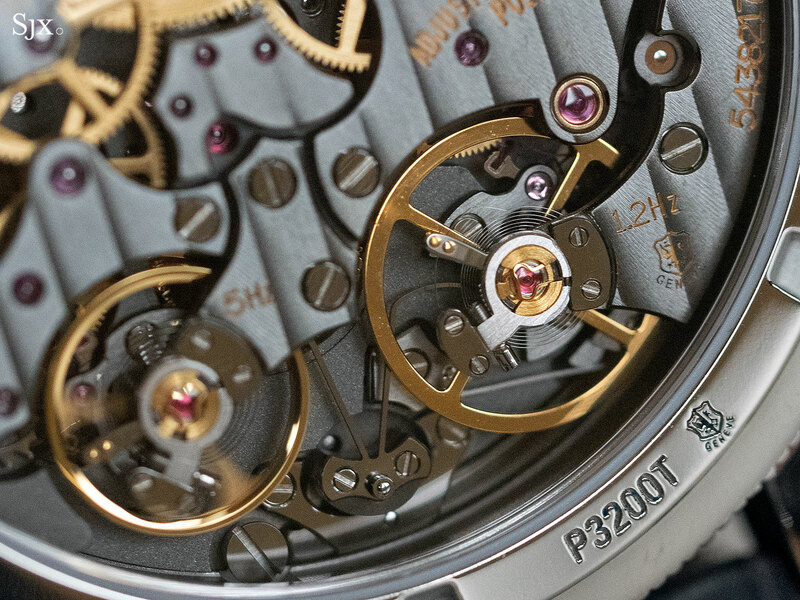 And the patented calendar mechanism is also integrated into the base movement, making the cal. 3610 QP a fundamentally new movement. 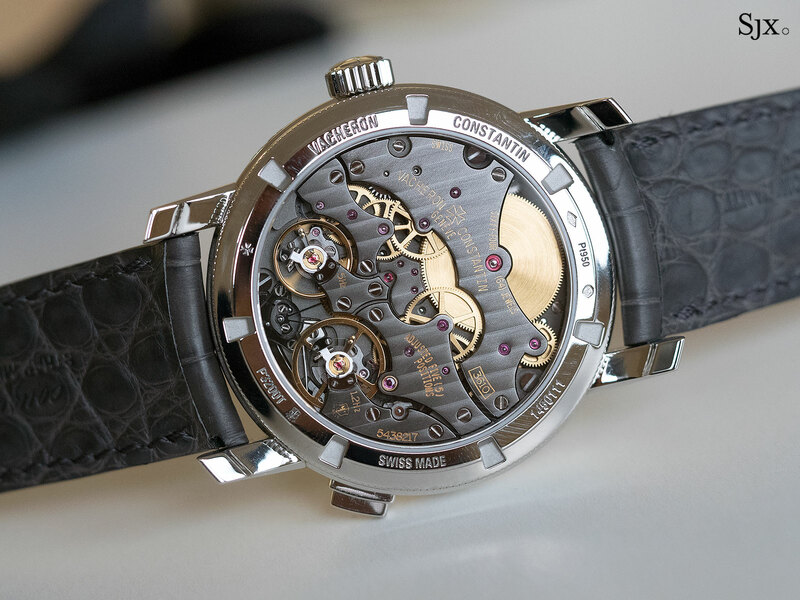 Though its construction was loosely inspired by the “dragging” perpetual calendar mechanism in the cal. 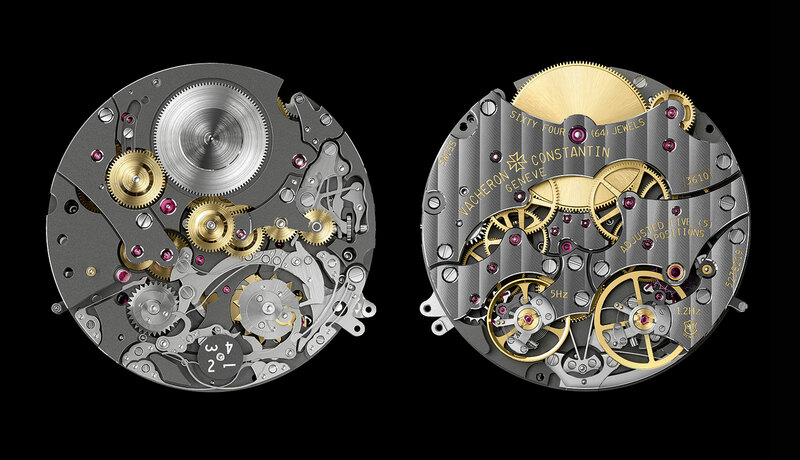 2755 found in the Traditionnelle Calibre 2755 grand complication, the mechanism in the Twin Beat was entirely revised to be both instantaneous and energy efficient. 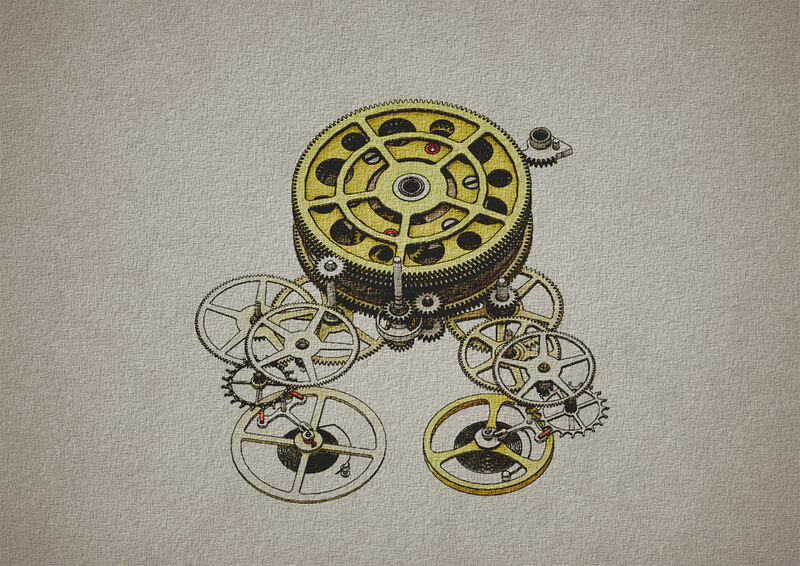 Requiring only a quarter of the energy to run as compared with a conventional perpetual calendar, the Twin Beat calendar mechanism is centred on a pair of wheels that sandwich a tiny coiled spring within. 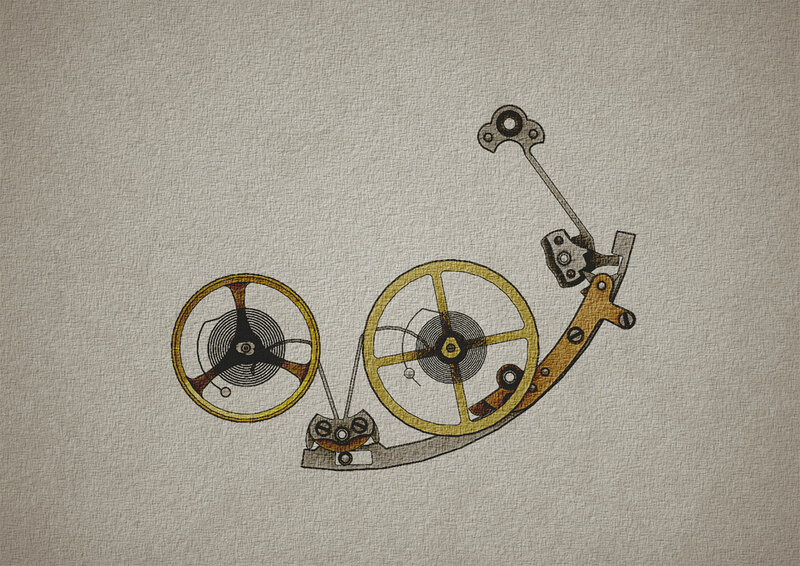 The lower wheel makes one revolution every 24 hours, slowly winding up the spring as it rotates. The upper wheel, however, only makes a 240 degree revolution over the same period, as it only has teeth on two-thirds of its circumference. At midnight the upper wheel releases and springs forward to catch up with the lower wheel, thus releasing the coiled spring and trigger a lever that jumps the perpetual calendar. The Twin Beat is a good looking watch with a strong wrist presence because of its size and dial design. The case is platinum and measures 42mm in diameter and 12.3mm; the lugs are longish, giving the case a bigger footprint on the wrist. While the case is quite large, it is elegantly proportioned, being relatively wide and flat. The dial is actually a piece of sapphire, with a semi-circular cutout on the top half to accommodate the guilloche dial plate. It’s made of solid gold with a radial linear guilloche done the old fashioned way, engraved with a rose engine in a process that takes five hours. The rest of the dial is clear sapphire, with engraved markings filled with lacquer. While the baton hour markers are 18k white gold and consistently shaped all around the dial, they are attached differently depending on the surface. The markers are mounted with tiny feet on the guilloche portion, as is conventional, but on the sapphire portion they sit in engraved recesses and are held down with adhesive. 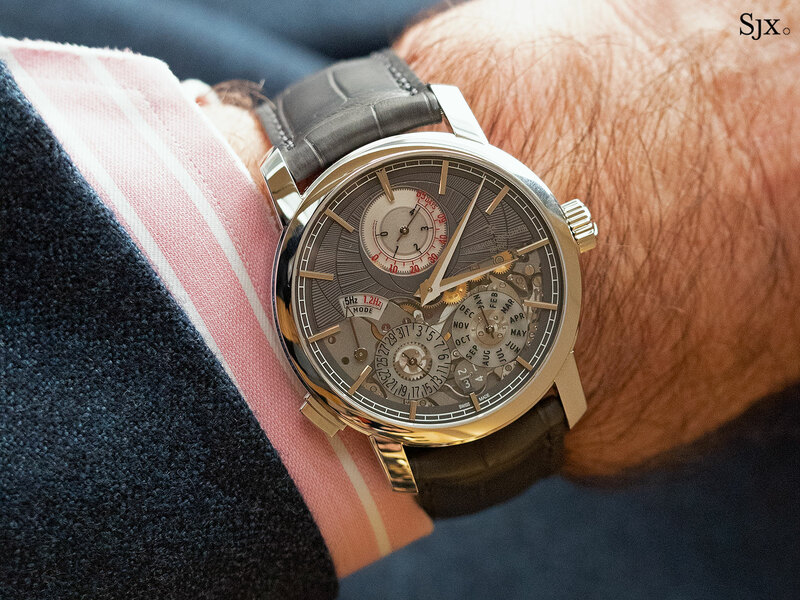 The Traditionnelle Twin Beat Perpetual Calendar is priced at US$199,000, or S$ 308,000. 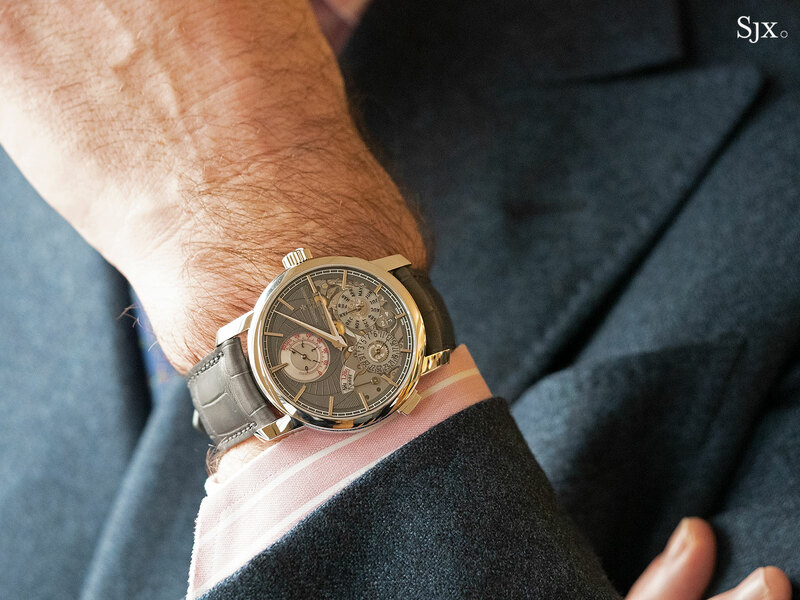 With two watches already finished and used as display pieces, the first watches reach boutiques later in 2019.